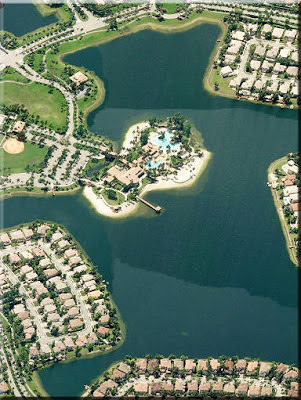 In the heart of Doral lies an exclusive gated community – Doral Isles. Consisting of 13 separate smaller communities (“isles”), Doral Isles is truly an ideal neighborhood where a diverse group of people live and enjoy the entire neighborhood has to offer. Doral Isles is a very quaint and quiet neighborhood with tree lined streets, a resort-style atmosphere and tons of amenities. Much of the activity in Doral is centered around the Island Club – the community’s main gathering place. It plays host to a large fitness center with equipment and daily exercise classes as well as a coffee bar and clubhouse for entertaining. Outside, the club is surrounded by a basketball court, baseball and soccer fields and two large swimming pools. Because Doral Isles real estate is a mix of properties including single family homes, condominiums, and townhouses, it has a broad appeal. List prices start in the mid-$100s for townhouses and condominiums and climb from there depending on the community in which the property is located. For single family homes, the spectrum of prices ranges from the mid-$200s to almost $2 million again depending on the community. Built in 2001, this 4,200+ square foot home faces the lake offering a relaxing atmosphere. 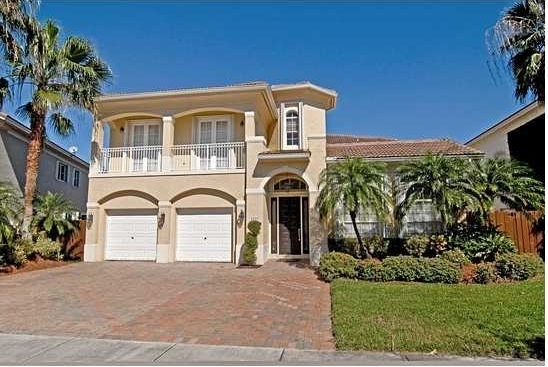 With five bedrooms and four baths, this beautiful home features tile and bamboo floors throughout as well as a wonderful kitchen with granite counter tops, stainless steel appliances and custom cabinets. The large master suite features a tray ceiling and spa-like bathroom with marble floors and a large garden tub. Outside, there is a huge outdoor living area with outdoor kitchen and deck surrounding the heated pool and extending towards the lakefront. For Venezuelan buyers, this home presents an excellent opportunity to exchange it for properties in Venezuela. The sellers are interested in properties, cars, and bolivares. This six-bedroom, four and a half bath home features state of the art, stainless steel appliances in a huge gourmet kitchen as well as a large family room, formal living and dining rooms, a separate office, an inviting master suite with elegant master bath, and more. This almost 4,000 square foot home was built in 2000 and features five bedrooms and three baths. 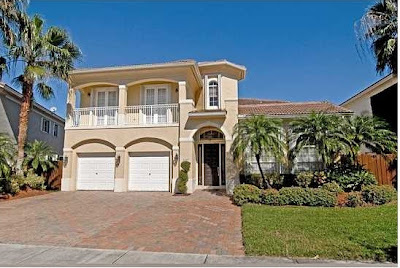 Nestled in the exclusive Venetia community where the most elegant of Doral Isles homes are found, the Mediterranean style home offers beautiful and relaxing views of the lake and plenty of room for a large family. Living in this home is like living in a Mediterranean villa with six bedrooms and five and a half baths encompassed in almost 3,900 square feet. Finishes like recessed lighting in the kitchen, tray ceilings throughout the home and an awesome kitchen make this home the executive home it was intended to be. The best part about this home is that the seller has no mortgage so all reasonable offers will be presented and considered. Situated on one of the largest lots in Riviera, this beautiful 3,300 square foot home features five bedrooms and three baths. With a large, updated Italian kitchen and huge laundry room remodeled in the third garage and a remodeled downstairs bedroom (both with permits), this home has so much to offer its owners. The contemporary design leads out to an outdoor oasis with custom designed pool, an outdoor living area and plenty of greenscape. With the master bedroom on the main floor and marble floors throughout, this contemporary-designed home also features a sunken living room, sleek and modern gourmet kitchen and large family room. The fixtures and finishes have sharp lines that add to the look and style of the home. There is also a large, outdoor living area with an inviting pool and plenty of room for entertaining. 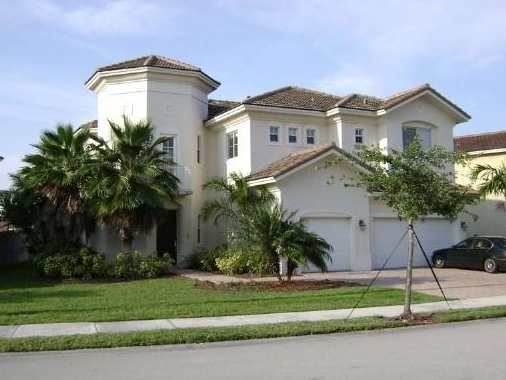 In 2012, 10 homes sold within the four communities with sale prices between the mid-$700s and just over $1.8 million. Over the past several years, sale prices have continually shown solid increases as the Doral population more than doubled between 2000 and 2010. In terms of fees and taxes, homeowners in these communities in Doral Isles can expect to pay monthly HOA fees between $340 and $400. As for property taxes, they vary from home to home and neighborhood to neighborhood. For these four communities, 2011 taxes fell between $8,000 and $15,000 with several factors influencing the cost. Doral Isles real estate is truly an excellent investment. 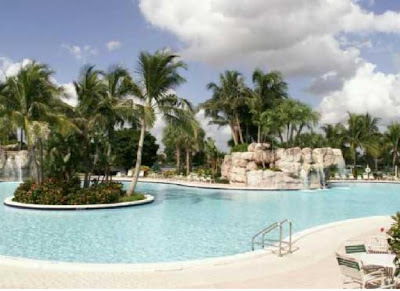 While much of Miami real estate is showing signs of rebounding, Doral is an area that has continually gained in value. Businesses and corporations see the potential in the area which is why so many companies are relocating or opening offices in this booming city.